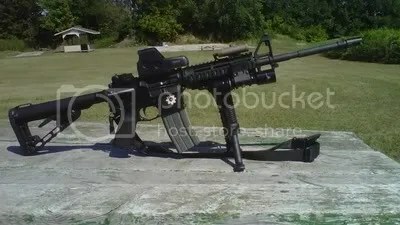 This is a new AR15/M4 carbine from the retail outlet of CMMG out of Fayette, Mo. I can tell you if you love AR15’s when you walk into the Black Rifle store you will have a very hard time leaving:-) They carry in stock every configuration of AR15 you can imagine at reasonable prices. 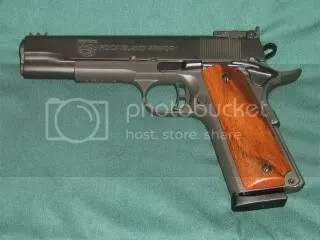 You’ll also find many tactical type shotguns as well as various brands and configurations of AK47’s. 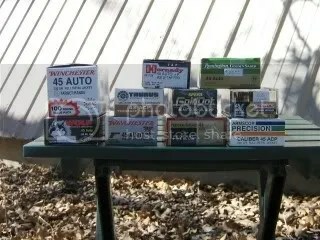 Optics of every major brand, ammo, Magpul PMags as well as many other brands of mags. They also have accessories for any tactical rifle or shotgun. They also take trade ins and have used rifles for sale. The place is just a wall to wall AR lovers dream:-) Also CMMG rifles have a lifetime warranty. This is the second CMMG I’ve had and I couldn’t be more pleased with both of them. This one was purchased as you see it above for $870. 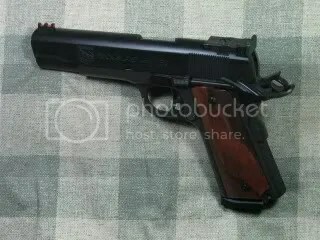 When you consider it came with a 14.5 inch barrel, Yankee Hill rail, Tango Down grip. Clubfoot stock, Magpul magazine,Phantom flash suppressor, Troy front and rear BUIS, match trigger well you just can’t beat the price especially these days. 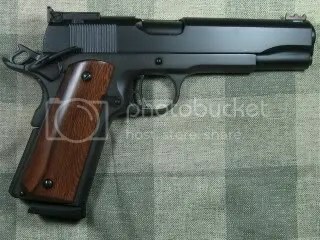 The barrel also has a 1 in 7 twist which is a good all around twist rate for an M4 style to obtain the best accuracy from standard 55 grain bullets all the way up to the 70 plus grain hunting bullets. 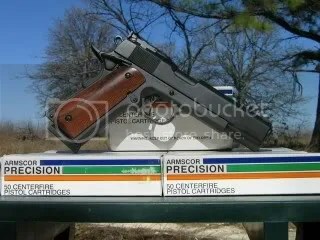 It also does very well with 22LR bullets in 38 grain with the conversion kit but more on that later. 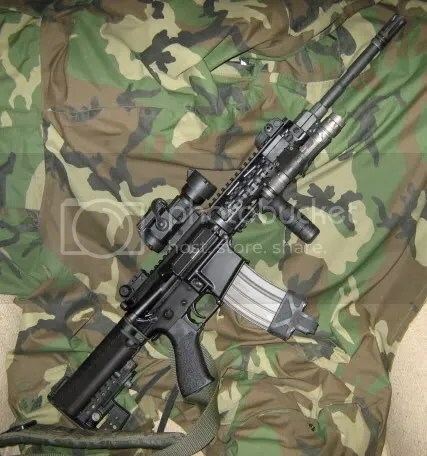 This by far is the best setup I’ve ever had in an AR15/M4 configuration. It has all I need and no extra bling I don’t need. No I’m not going to paint it with a spray can to mimic a real desert warrior because I’m not my son is! Enough on that subject:-) One addition I didn’t mention in detail is a best buy and that’s the Spike Tactical forward vertical grip. It was listed on the website at $35 so I thought it has to be plastic. When it arrived I was plesently surpised to find it is CNC machined aluminum with an anodized finish with rubber rings that fit in the ecternal slots to provide a better grip. This a real deal considering many of the plastic models are $80 plus. 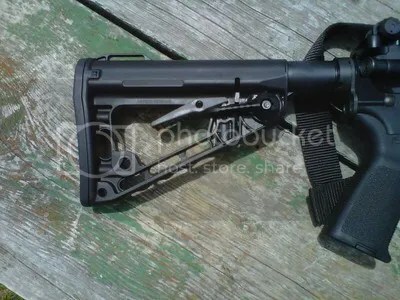 This VLTOR stock gives a great cheek weld and provides waterproof space for battery storage as well as other parts. The new Magpul magazines are very reliable and cost is no concern at all. 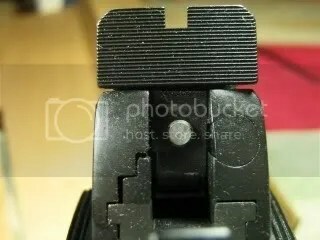 They have a window in the side of the mag with a red line that travels as you deplete ammo and tells you right away how many rounds are left without guessing or taking the mag out to look. A very handy mag at $18. The last addition I just purchased allows me to practice a lot more without spending a ton of money of 5.56 for practice all the time. 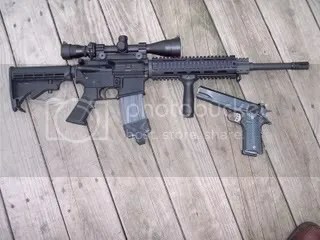 That addition is a CMMG 22LR conversion kit. Most of these kits I found were at the $200 mark but I found mine at Dynamic Armament for the regular price of $139 which included a 22LR magazine. 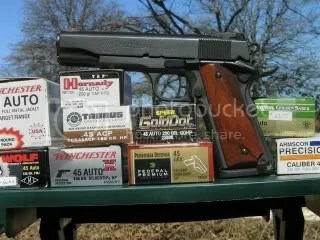 I’ve shot about 500 rounds in the last week of American Eagle 38 grain 22LR without one malfunction and there was no cleaning during the 500 rounds fired. 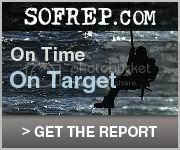 I strongly recommend this conversion so you can practice all you like without breaking the bank. Changing out the standard unit for the conversion is very simple. 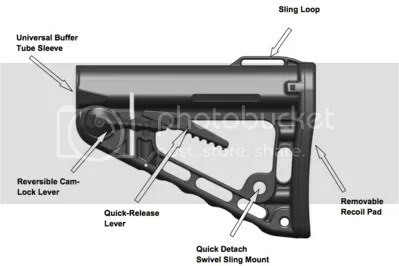 You remove the charging bolt 3/4 of the way out and remove the 223 bolt then slide in the 22LR conversion bolt, close the rifle up and insert a 22LR mag. That’s it your ready to go. 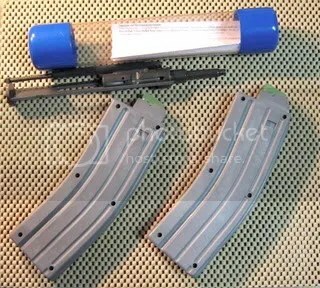 These mags also hold 26 rounds of 22LR. Shooting this rifle with the conversion is a blast! Accuracy is extremely good. 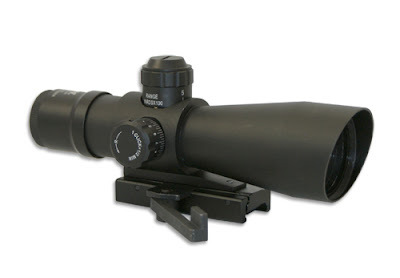 Standing unsupported at 25 yards you can shoot 1/2 inch groups all day long. 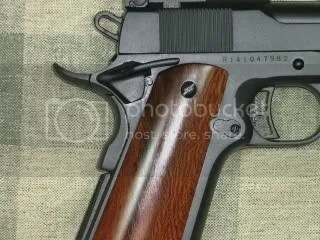 This is not something I expected since this rifle was in no way constructed to fire 22LR as the new batch of 22LR only rifles made by Sig and Colt. I’m not griping believe me. Even at 100 yards groups of two inches or a little less are common. CMMG makes a fine product regardless of some who look down on them because they don’t have one of those high profile names even though they supply to the military just on a lower profile. 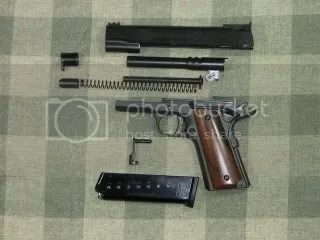 This conversion kit is available from Guns for Sale.com——-Great folks to deal with! On to shooting with the 5.56. I tend to use brass cased ammo but I’m in no way appossed to using Wolf or Bear brand steel cased ammo. 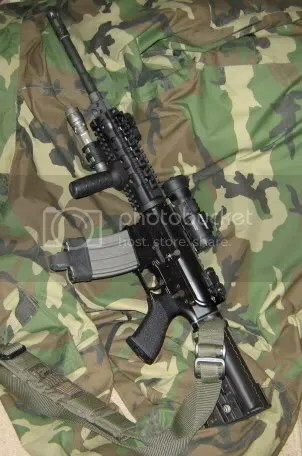 I have never repeat never had a rifle adversly affected by using them. After putting on the red dot sight I set the BUIS sights up as well so they co-witness. 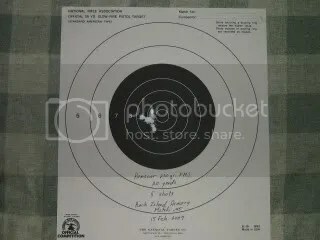 I began at 50 meters since that is the advised distance to sight in so that all shots out to 300 meters are accurate. After sighting in I started at 25 yards standing unsupported. My groups were less than 1/2 inch and closer to 1/4 inch. This is a much more accurate AR15 than I have ever owned before. 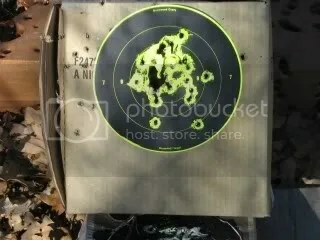 I moved out to 100 yards and setup a rest and fired several groups at a 5 inch Birchwood Casey target which is much easier to see at that distance. 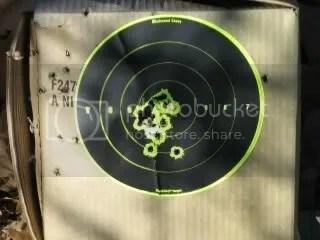 I was shooting groups that made one hole right on the red bullseye of the target. As I said this is a very accurate rifle! These groups were shot with PMC brass cased ammo. I changed over to Wolf and the groups opened up a bit but still came in at less than one and a half inchs at 100 yards using the red dot. 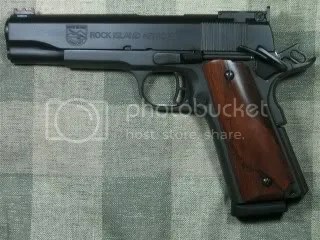 This is one nice rifle that performs very well and sells at a very reasonable price. 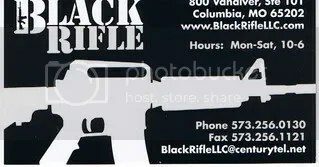 Black Rifle LLC is also a very good dealer who has excellent customer service and would be worth anyone checking into if they don’t mind having a rifle shipped to the local FFL they frequently use. Black Rifle will also build one to your specs if they don’t have one in stock already:-) As always if you have any questions please comment and I’ll answer any question you may have. If I don’t know the answer I’ll find it.